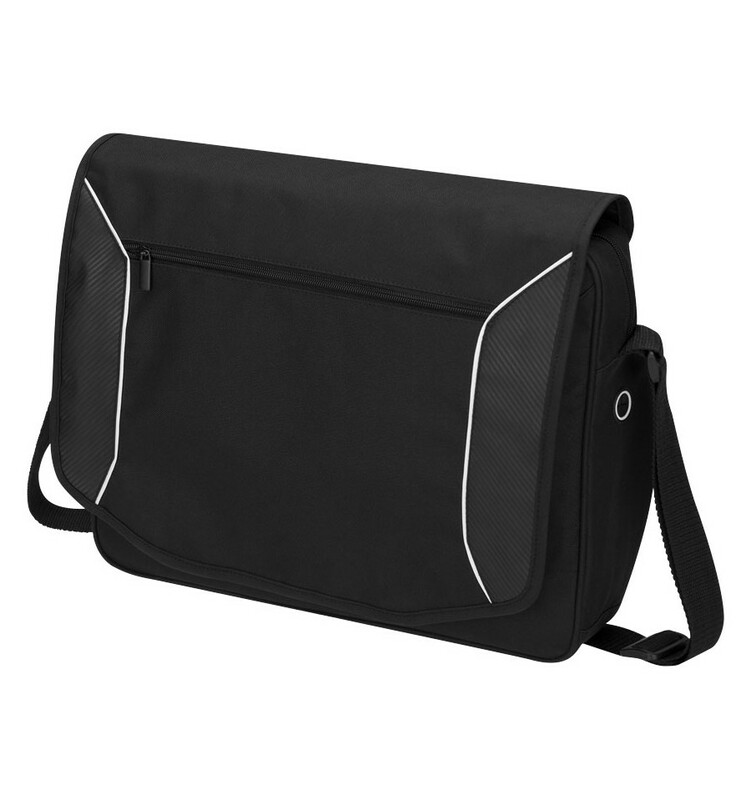 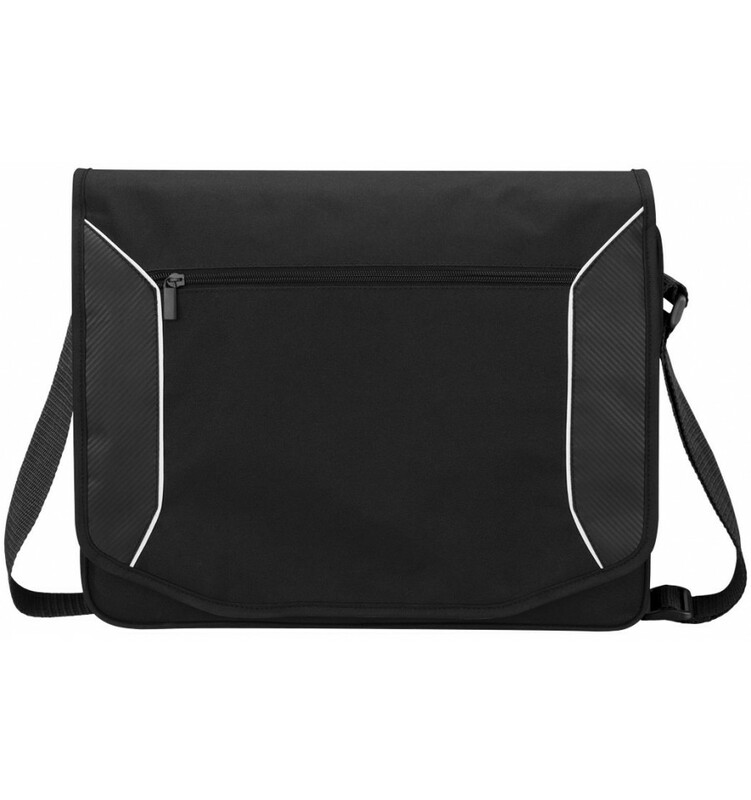 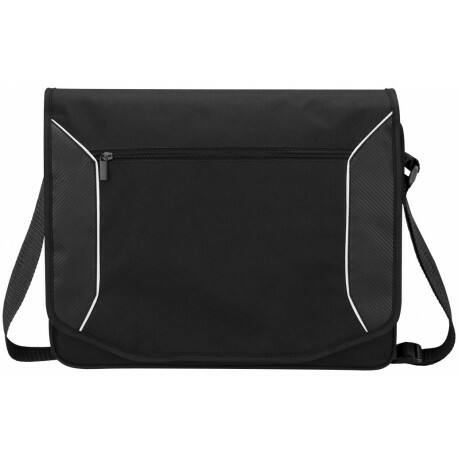 Stark Tech 15.6" laptop shoulder bag. 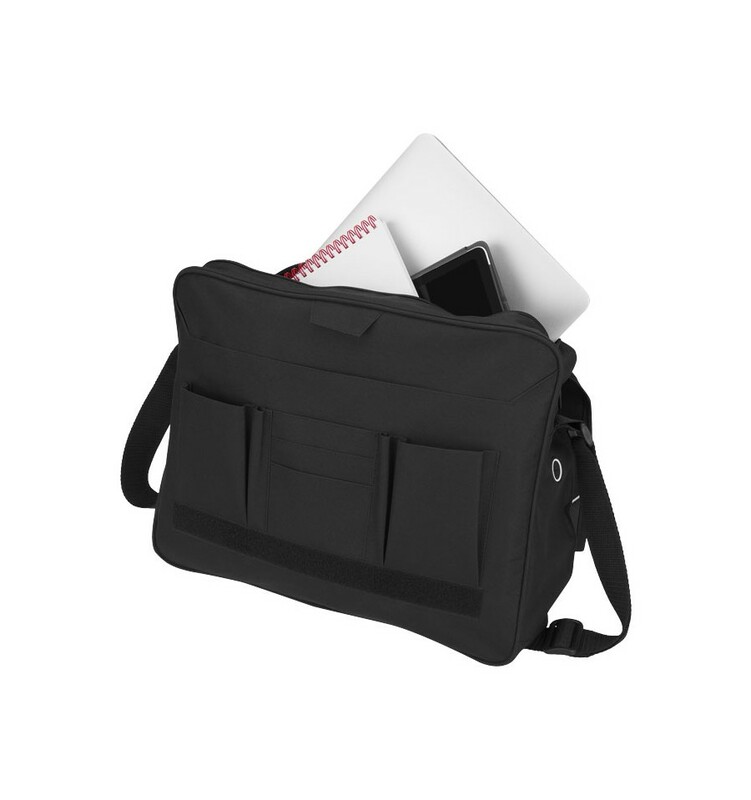 The zipped main compartment has a padded laptop sleeve which fits most 15.6” laptops, a padded tablet sleeve and a large open compartment for files and binders. 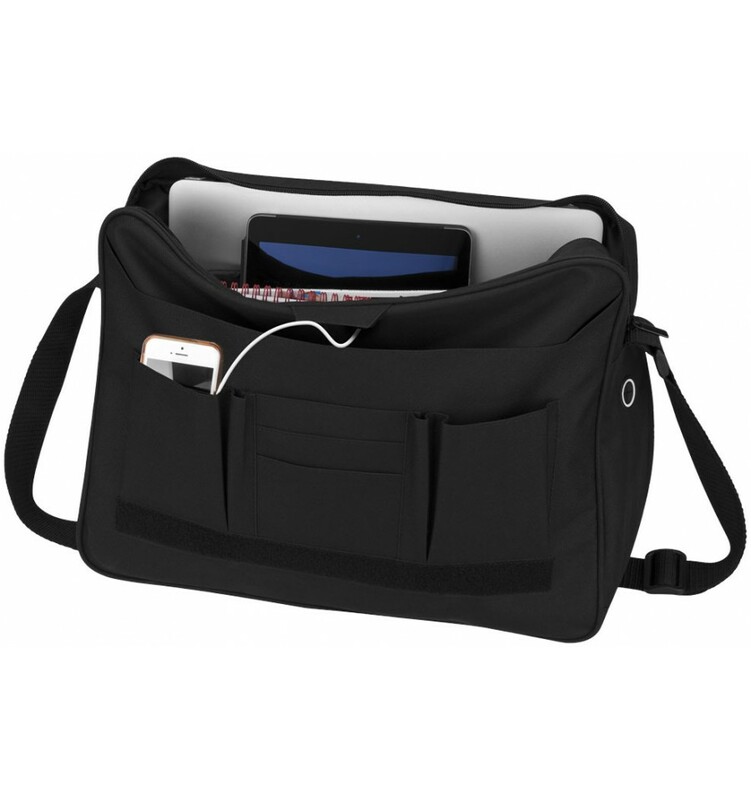 The dedicated powerbank pocket has a smart pass-through port that allows you to connect your power cord to your tablet or laptop. 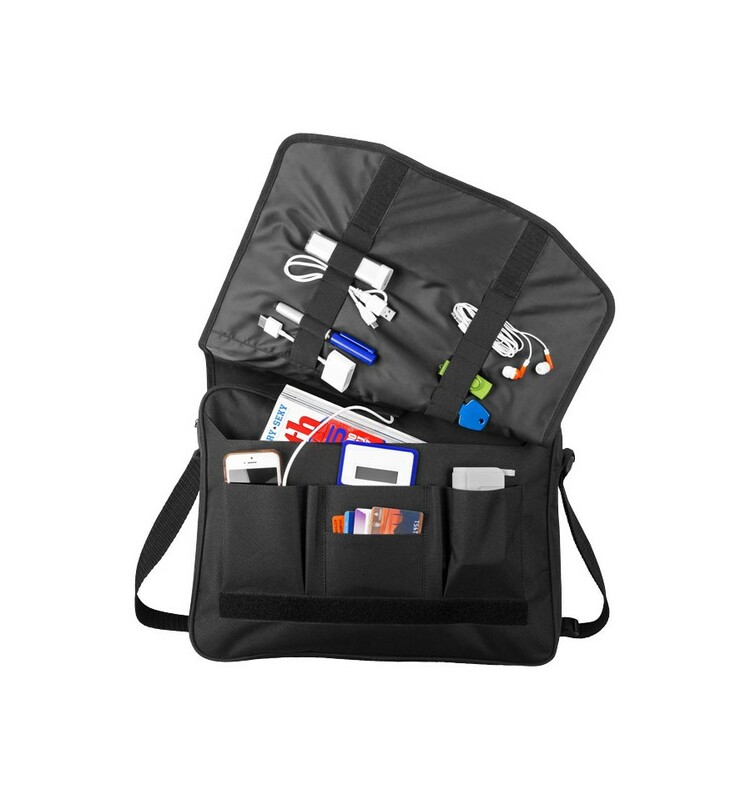 The organisation panel also has a smart pass through port to connect your cable to the main compartment where your mobile devices are located without having to remove your powerbank. 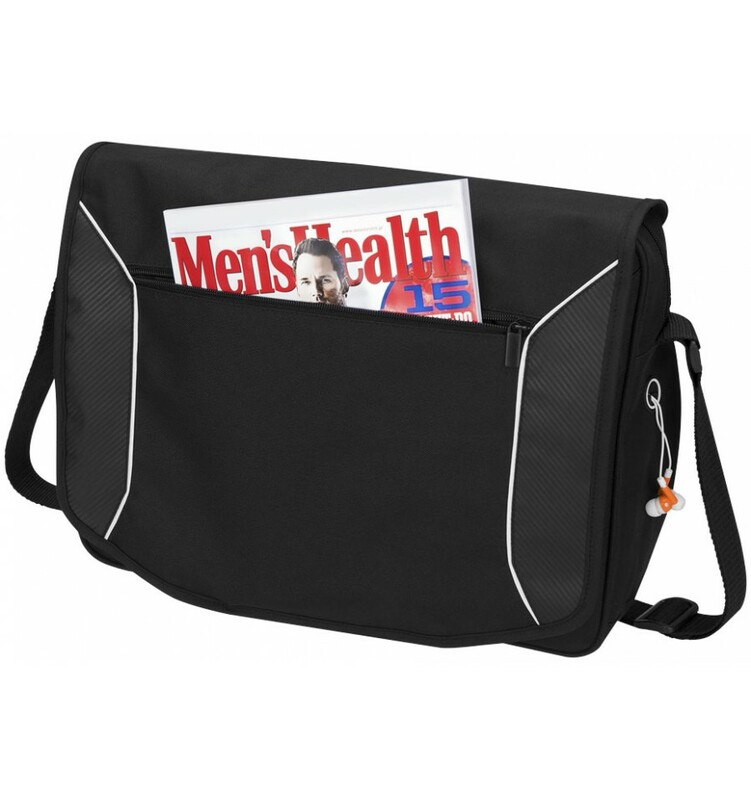 The zipped side pocket has an earbud port.